Mission & Beliefs | Heart to Hand Ministries, Inc. 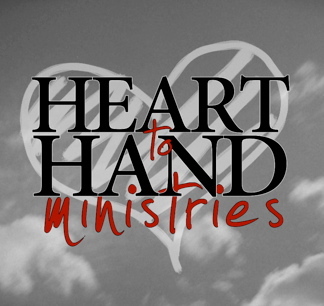 The mission of Heart to Hand Ministries, Inc. is to reach out through music, word and service, with the love, compassion and Good News of Jesus Christ to those who are in the midst of trial -- especially children who are suffering from critical and chronic illnesses and their families. We also hope to encourage others to use their own unique God-given gifts to reach out to a troubled, hurting world. in a God whose grace and mercy is scandalous. in a God who loves us so much that He sent His Son to live among us and to die for us so that we might have life everlasting. in a Redeeming God who can take a murdering, adulterous, lying man like King David and, in his redemption, call him a man after His own heart, so maybe He could even use you or me. in a God who knows each of us better than we know ourselves, and yet still desires that relationship with us. in a God whose ways are too great to understand although we sometimes act like we do, and then we package our understanding into our religion. in a God who is bigger today than He was yesterday, and He hasn’t changed. in a God who is big enough for our biggest questions and even our most intense anger but who, ultimately, wants us to come to Him in our brokenness so that we might receive His peace. in a God who calls us to love one another as He has loved us, and He continues to uphold His side of the covenant when we fail to uphold ours. in a God who can be found in His most distressing disguise in the poor and the marginalized. in a God who says that what we do to these people, the least of our fellow man, we have done unto Him, and inversely, that which we have neglected to do for the least of our fellow man we have neglected to do for Him. in a God who can use anyone or anything to achieve His good and perfect will but who desires to use His church. in a God of Resurrection who calls His followers to practice resurrection, that other’s lives might be lifted from the ashes and rubble and set on the path that leads to life. and with all this said, we believe in a God who will never force His way into our lives. We must open our hearts and accept His gift to us in His Son, Jesus.